TRENAL („Translational kidney research – from physiology to clinical application“) is an interdisciplinary netwok project that aims at leveraging the achievements of basic kidney research and translating them into novel diagnostic and therapeutic strategies. TRENAL unites nephrologists, physiologists, nephropathologists and basic researchers from Friedrich-Alexander-Universität Erlangen-Nürnberg (FAU), Charité – Universitätsmedizin Berlin (Charité), Yale University (YALE) and University College London (UCL) and the Max Planck Institute for the Physics of Light (MPL). TRENAL is funded by the German Academic Exchange Service (DAAD). All TRENAL partners recognize the challenges of an increasing gap between a growing medical need in the area of kidney disease and insufficient application of research findings. They share a joint vision that improvements can be achieved through efforts that integrate basic and clinical research, form trans-disciplinary links, motivate young graduates of medical schools to enter nephrology and support the career development of young investigators towards independent thinking beyond the borders of individual institutions and mentorship. Bridging the gap between research findings and so far limited progress in translation to therapeutic strategies in nephrology by pursuing an international, inter-disciplinary approach. Creating a model for an innovative collaborative structure that combines excellence in science and patient care and integrates international exchange into the training of physician-scientists. Addressing the impending lack of young academics in medical research by creating entry opportunities to high-level research programs and by supporting a sustained engagement through measures that are precisely tailored to different levels of career development. Improving the understanding for differences between three international health care systems to enable reflection of strengths and weaknesses and best practice approaches. Promoting the internalization strategy of FAU by creating a model of excellence in one of its medical research priorities. To identify and pursue research opportunities involving at least two laboratories from two partner institutions within TRENAL that will lead to novel insights and joint publications. To identify molecular causes of rare and complex disease manifestations by joining forces of four large renal research institutions. To explore the potential of cutting edge physical science to address and solve questions that are relevant to the discovery, understanding and treatment of kidney disease by establishing a collaborative platform with a world leading institute of physics (MPL Erlangen). To promote the career development of young investigators through participation in exchange measures and scientific / educational events. To attract talented junior (under)graduates to the field of kidney research. To promote high quality M.D. thesis projects under joint supervision of two partner institutions. To propagate the traditional strong link between physiology and clinical science within and beyond the network through joint research projects and focused conferences. To overcome limitations of sub-specialization in medicine by combing resources of large patient cohorts with expertise in molecular biology and animal models. To develop a strong basis for successful third party funding applications leading to extended research periods and collaborative projects. TRENAL unites nephrologists, physiologists, nephropathologists and basic researchers from Friedrich-Alexander-Universität Erlangen-Nürnberg (FAU), Charité- Universitätsmedizin Berlin (Charité), Yale University (YALE) and University College London (UCL) and the Max Planck Institute for the Physics of Light. The clinical nephrology units (for adults and children) at the four sites are among the leading institutions in the field of renal medicine in the US, UK and Germany. Renal research at all four sites has a strong and documented track record, representing a major research focus of the respective medical faculties. Current kidney research activities are firmly anchored at all four universities, encompassing apart from clinical nephrology renal disease specialists in supporting disciplines (pathology, genetics) and basic science institutes (physiology). Current research themes are complementary and overlapping with several interfaces, generating excellent opportunities for collaboration. Structured training programs and international exchange are integral parts of the long-term strategy of all departments and divisions involved. Physician-scientists and basic researchers collaborating in the network are internationally recognized for their research and leadership roles. Lead investigators have known each other personally for many years, are familiar with research programs and infrastructure at the partner sites, and have collaborated successfully in specific projects and various international research activities. There is a long track record of exchange and mobility between the four institutions. A formal collaboration has already been established between YALE and UCL, forming an excellent basis for the extension into a quadrangular thematic network. Founded in 1743, FAU has a rich history. It is a strong research university with an international perspective and one of the largest universities in Germany, with around 39,628 students, 244 degree programs, 4,000 academic staff (including over 580 professors), 180 million euros (2014) third-party funding, and 500 partnerships with universities all over the world. Teaching at the University is closely linked to research and focuses on training students in both theory and practice to enable them to think critically and work independently. The research itself also strikes the perfect balance between a theoretical approach and practical application. Teaching, research and patient care take place under one roof at FAU: The Universitätsklinikum (university hospital) Erlangen is associated with the Faculty of Medicine. More than 7.400 employees work there to promote health and to cure disease. With up-to-date equipment and science-based diagnostic and therapeutic procedures, the 42 departments, 18 divisions and seven institutes of Universitätsklinikum Erlangen comprehend every field of modern medicine. Extensive quality assurance systems and close multidisciplinary collaboration guarantee optimal care. Clinician scientists, lecturers and professors working at Universitätsklinikum are members of FAU, ensuring that patients benefit from innovative treatment options by fast translation of research to bedside and medical students acquire up-to-date knowledge and skills as well as the competences and mindset for lifelong learning. FAU is the only university in Germany where kidney research is a declared research priority, creating a stimulating and interactive atmosphere and providing access to a large spectrum of diverse technologies and large-scale projects. The large size and broad spectrum of the clinical nephrology units at FAU offer possibilities for clinical experience beyond the spectrum that nephrology units cover at YALE and UCL. The Department of Nephrology and Hypertension runs two high-level intensive care units, is strong in all aspects of interventional nephrology (vascular access, biopsies, renal denervation) and represents the primary team providing care for renal transplant recipients. FAU is strongly committed to recruiting international researchers by providing an open and supportive environment. Guests from YALE and UCL will receive professional support services from the Welcome Centre of FAU. Researchers with families will appreciate the family-friendly working and living environment. The region Erlangen-Nürnberg-Fürth (European Metropolitan Region Nuremberg, EMN) is a highly dynamic environment for research and innovation within the healthcare and medical engineering field. It is characterized by a high density of research facilities (including Max Planck and Fraunhofer Institutes), global corporations (like Siemens Healthcare) and small and medium-sized companies. Over 16,000 people are employed in around 180 dedicated medical engineering companies in this so-called “Medical Valley EMN” cluster. This setup provides a prolific atmosphere for academia-industry relationships. Charité – Universitätsmedizin Berlin is one of the largest and research-intensive teaching hospitals in Europe. Many famous physician-scientists have worked at Charité who subsequently became Nobel Laureats (e.g. Paul Ehrlich, Robert Koch, Sir Hans Adolf Krebs). Charité has four different campuses across Berlin of which Campus Charité Mitte (CCM) and Campus Virchow-Klinikum (CVK) have now a unified nephrology and medical intensive care department. With over 100 beds and 18 faculty members the department offers highest standards in nephrology and critical care. The center provides more than 100 kidney transplants per year and several outpatient clinics in order to care for patients with any form of kidney disease. As a research university, Charité is dedicated to be a leader in science focusing on prevention and treatment of diseases. With more than 3,700 researchers and multiple international collaborations Charité is a major driver of scientific development. In addition, Berlin is a vibrant city that allows students, physicians and faculty visiting Charité as part of the TRENAL program to experience an international and inspiring environment. Yale University in New Haven, Connecticut, founded in 1701 in Saybrook Colony as the Collegiate School, is the third-oldest institution of higher education in the United States. Yale University comprises three major academic components: Yale College (the undergraduate program), the Graduate School of Arts and Sciences, and the professional schools. In addition, Yale encompasses a wide array of centers and programs, libraries, museums, and administrative support offices. Approximately 11,250 students attend Yale. The Section of Nephrology has extensive programs in patient care, research, and education. We are committed to excellence in each of these three activities with the goal for both our faculty and our trainees to be national and international leaders in the field of academic nephrology. The research activities of our faculty cover a broad range of topics in nephrology from bench to bedside. Current research areas include studies of renal tubular electrolyte transport, renal epithelial cell biology and morphogenesis, molecular genetics of hypertension, polycystic kidney disease, transplant immunology, translational research of acute kidney injury, and complications of Chronic Kidney Disease, ESRD and dialysis. In addition to a large spectrum of research projects supported by individual NIH research grants, Yale is home to a Hypertension Research Center, a Polycystic Kidney Disease Research Center, and The George M. O’Brien Kidney Center at Yale. University College London (UCL) was founded in 1826 to open up university education in England to those who had been excluded from it. In 1878, it became the first university in England to admit women students on equal terms with men. Academic excellence and conducting research that addresses real-world problems inform our ethos to this day and our plans for the future. The UCL Center for Nephrology is unusual in having a wide breadth of clinical and research expertise (applied epithelial physiology and pathophysiology, renal genetics and cell biology, immunology and inflammation, mineral metabolism, cardiovascular disease, and modalities of renal replacement therapy and conservative management) applied to kidney research, clinical care, and training. The Centre for Nephrology is part of the UCL Division of Medicine and is within the Transplantation and Immunology theme of the UCL Academic Health Sciences Centre (UCL Partners). This theme includes active renal, liver (including islet cell) and bone marrow transplant programmes, as well as plans for face and laryngeal transplantation. The Centre became a large, single, clinical service and academic unit in 2006 when renal services at the Middlesex, University College, and Royal Free hospitals merged. As a result, our Centre is formally linked with the clinical Nephrology service at the Royal Free Hospital. We have significant internal collaborations and strong links with other UCL research departments, including physiology, biochemistry, genetics, virology, rheumatology, infectious diseases, immunology, and clinical pharmacology. The prevalence and incidence of chronic kidney disease (CKD) is increasing for many reasons – greater public awareness, an ageing population, more advanced and complicated surgery carried out in older patients, and fewer deaths from infection, heart attacks, and some forms of cancer. CKD is recognised to be a silent epidemic with numbers expected to increase year on year. Many patients will have a ‘routine blood test’ at their GP’s surgery, usually including measurement of their blood creatinine level to screen for reduced kidney function; this method is relatively insensitive and better methods are needed to detect and treat kidney disease earlier and thereby reduce the high costs of dialysis treatment and kidney transplantation, and lessen impact on quality of life. The following summary of our key research themes and activities demonstrates our comprehensive clinical and basic research, which forms the foundation of our clinical and research training programmes. This novel center will be worldwide unique in providing cutting-edge physical and mathematical methodology for fundamental and quantitative studies of physical interactions and processes in medical systems. By using a wide range of techniques such as ultrasensitive fluorescence detection and spectroscopy, multiphoton microscopy, micro & nanomagnetometry, optical trapping, laser nanosurgery, and lab-on-chip approaches, researchers will explore biomedical phenomena from the molecular to the organ level. 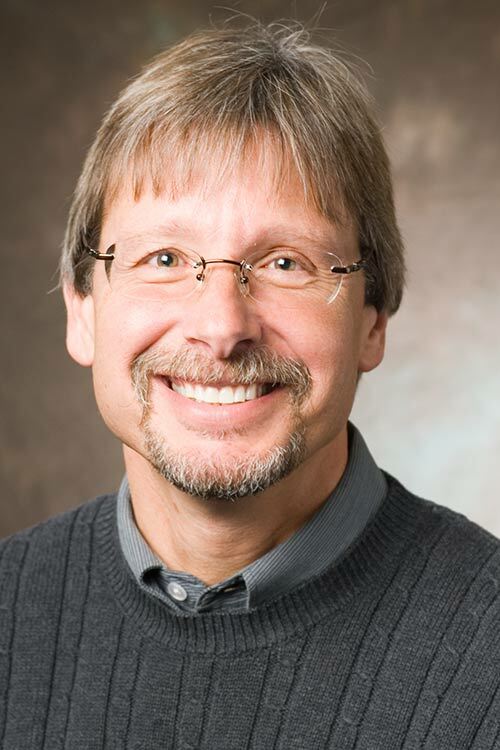 Addressing many unresolved mechanisms of renal physiology and dysfunction has been identified as one of the focus areas of the Center for Physics and Medicine. Indeed, kidney research has traditionally been strongly linked with biophysics. Thus, the cooperation with MPL offers highly attractive research opportunities within TRENAL for scientists from both YALE and UCL, which are not established at either university. Project management is anchored at FAU and Charité. Professor Kai-Uwe Eckardt, together with Professor Felix Knauf, serve as the Directors of TRENAL. 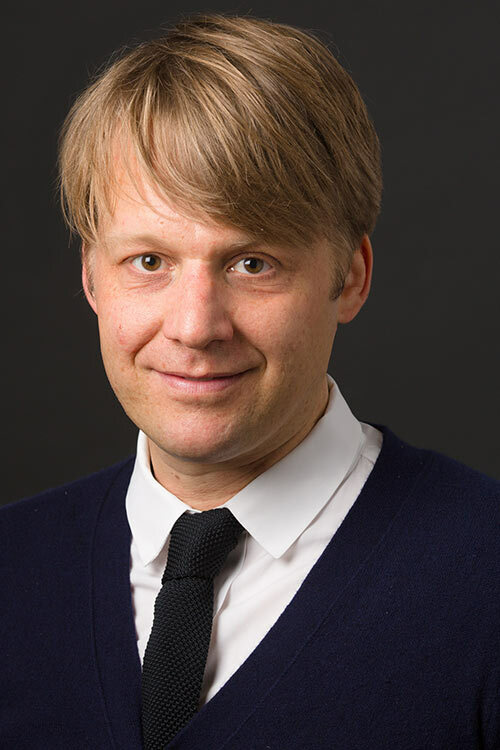 Felix Knauf received his clinical and research training at Yale and holds a joint appointment as a Yale faculty. Kai-Uwe Eckardt and Felix Knauf initiated TRENAL at FAU and have recently taken positions at the Charité. 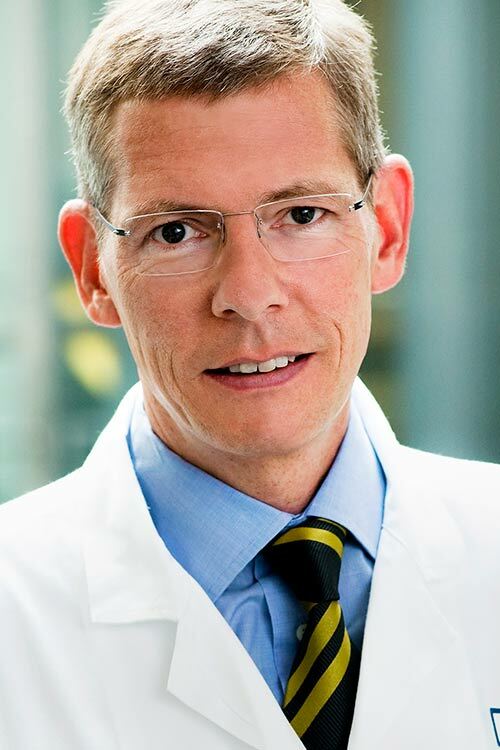 Chair of Nephrology and Hypertension at FAU, Professor Mario Schiffer, and Professor Margarete Goppelt-Strübe, have since taken over co-leadership of TRENAL at FAU. 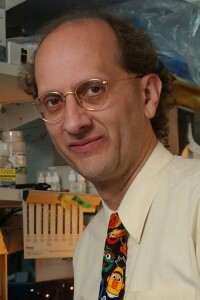 The Yale Associate Director, Peter Aronson, is a Professor of Medicine (Nephrology) and Cellular and Molecular Physiology. He is the director of the George M. O´Brien Kidney Center, director of the NIH-funded postdoctoral research-training program in nephrology at YALE, and Past-President of the American Society of Nephrology. 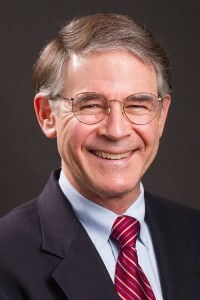 The Deputy Associate Director, Stefan Somlo, is C. N. H. Long Professor of Medicine (Nephrology), Professor of Genetics, and current Chief of Yale Nephrology. 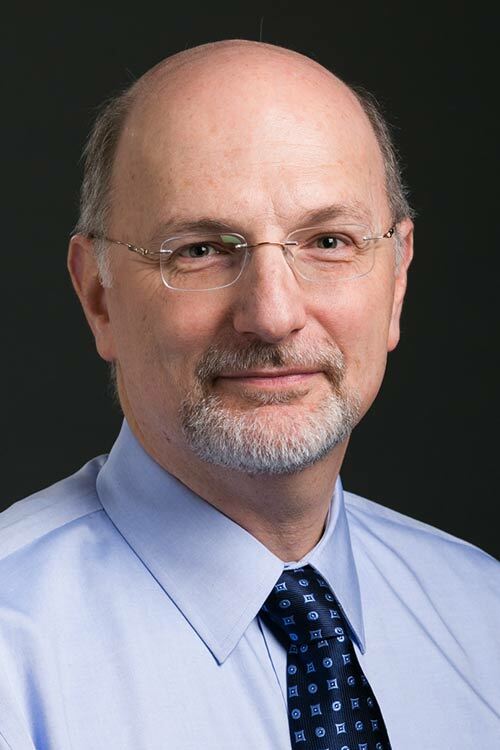 Mark Perazella, Professor of Medicine, has special responsibility for the clinical aspects of the program (Clinical Coordinator). At UCL, Professor Robert Kleta, Head of the UCL Centre for Nephrology, is the Associate Director. 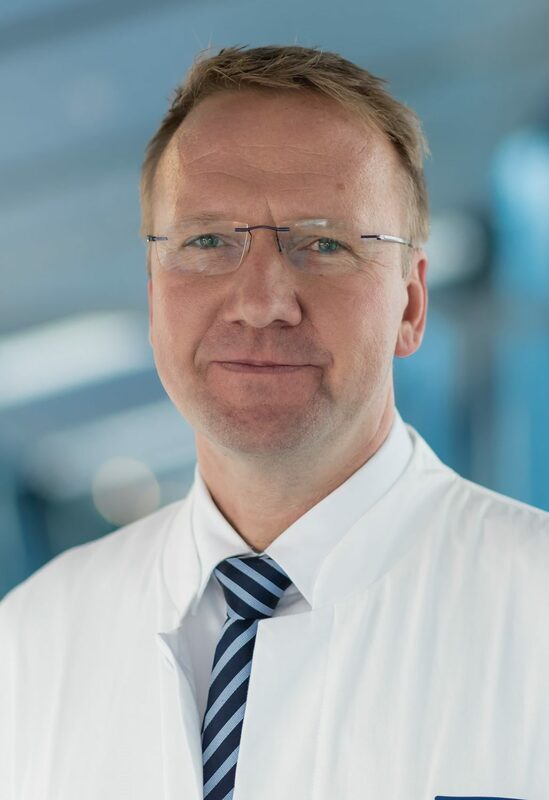 He was trained in Pediatrics and Physiology in Germany and in Genetics in the USA, which provides him with an in depth understanding of the international differences in training, clinical care and career development of physician-scientists. 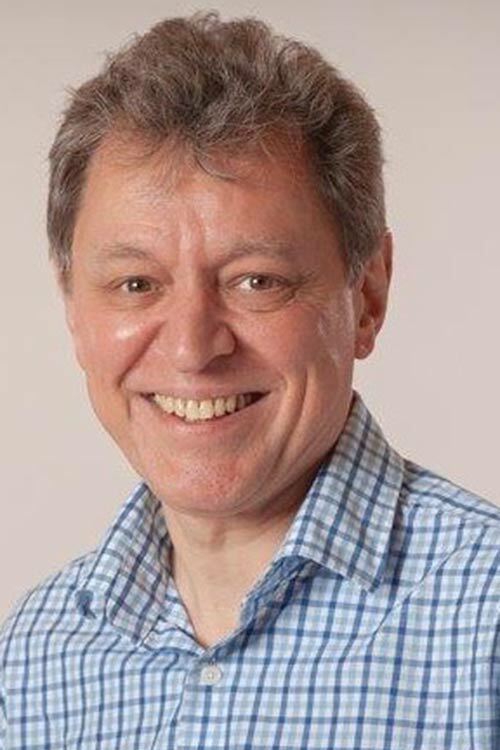 Professor Robert Unwin joins him as a Deputy Associate Director. 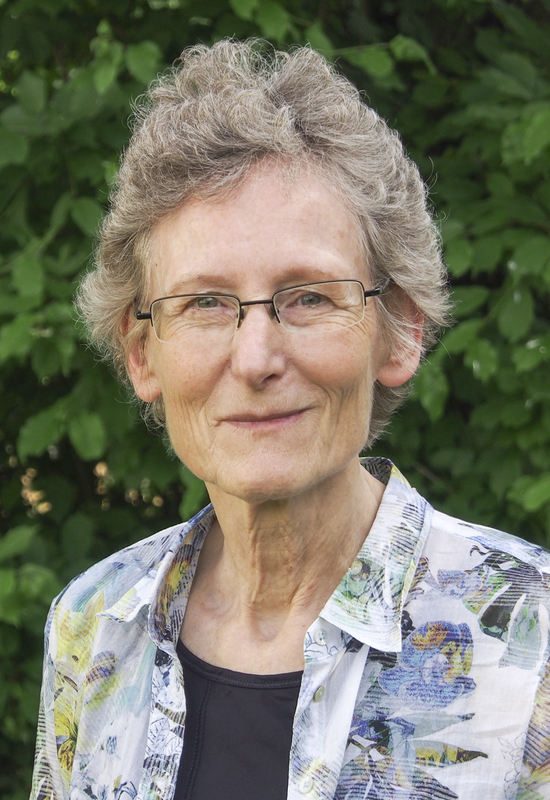 Prof. Unwin was a postdoctoral fellow at YALE and has played a major role in shaping the YALE – UCL collaboration which represents an important basis for TRENAL. Professor Vahid Sandoghdar obtained his Ph.D. in Physics at YALE and is one of the directors of The Max Planck Institute of the Science of Light (MPL) in Erlangen. 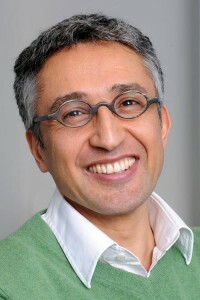 He joined TRENAL as a non-university partner.